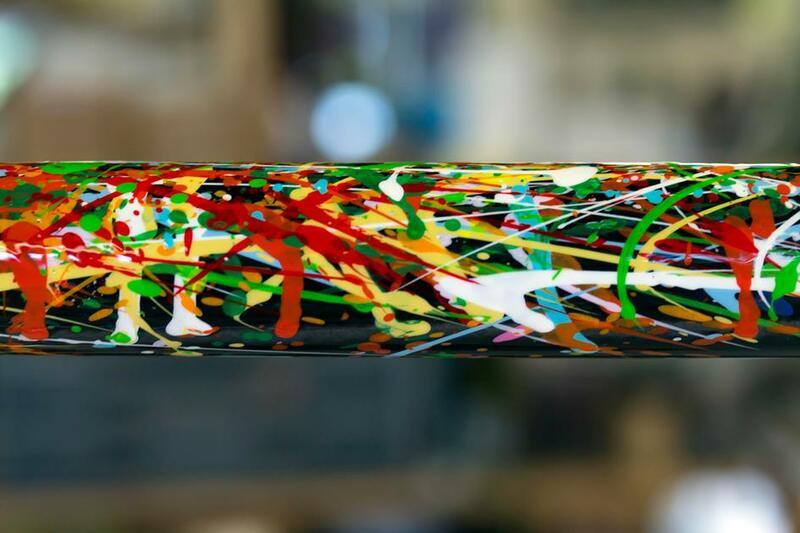 So you're Bob Parlee, founder of Parlee Cycles, one of the world's very best hand made bike brands. What are you gonna do? This is Bob's Z-Zero XD : 100-percent made-in-the-USA carbon fiber, clearance for 40mm tyres, unrivaled Parlee ride quality whatever the surface. The paint? 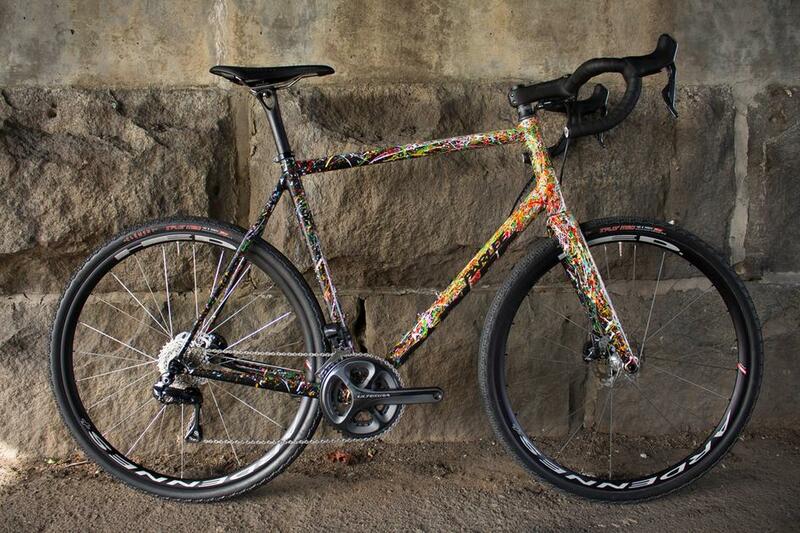 A perfect example of Parlee's mastery of their craft. See how the multi coloured splatter works like a fade? The rear triangle is predominantly black. Yes, you're correct. 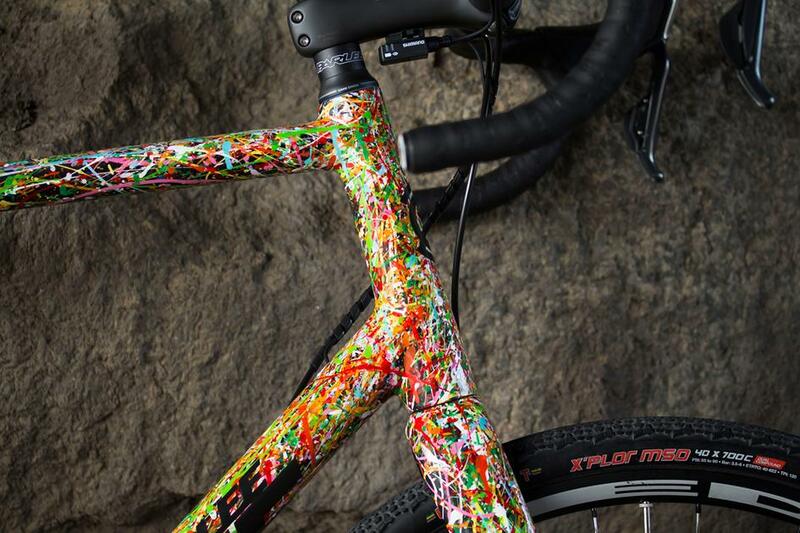 That is a Parlee carbon stem. Parlee carbon bars too. These will be available soon. We'll keep you posted. A chaotic swirl of colours covers perfect lines. Perfectly smooth and polished. This will look even better splattered with mud! Obviously this paint job took hours and hours to complete and wouldn't come cheap to the likes of you or I, but it shows what can be done. 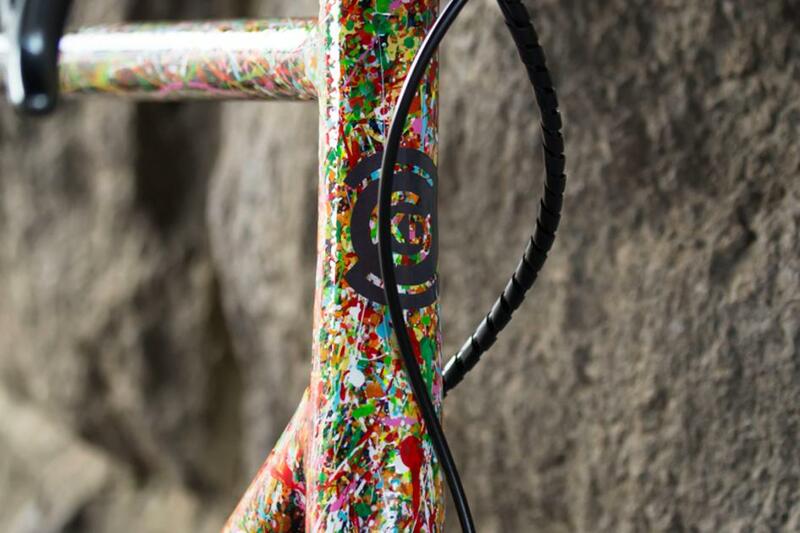 Parlee's painters really are some of the very best in the business. 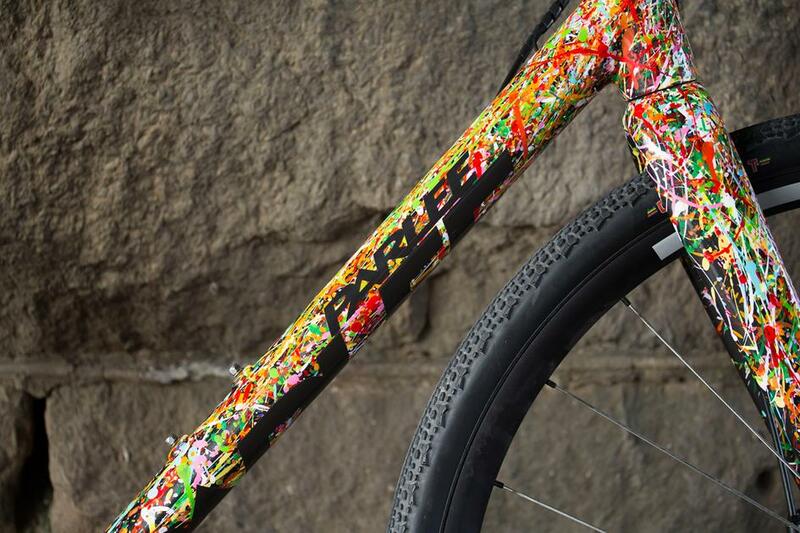 Want to see your ideas come alive on a Parlee? 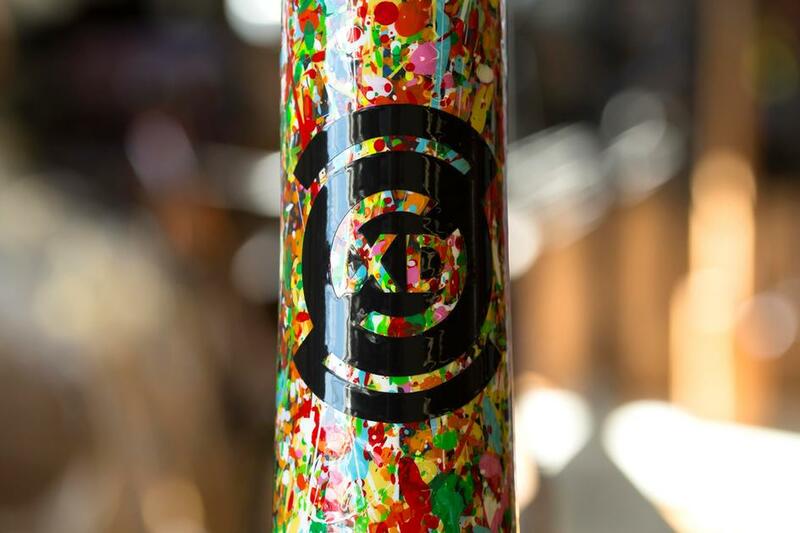 Get in touch about your own custom Parlee.